Hello, as a new comer to this site I am looking for some guidance and ideas for a 4 night venture driving from Leeds to Inverness. From Route, stops, things not to miss and even where to stay, all would be appreciated. Traveling with our 15 year old daughter we need to keep her interested along the way. Being in February, what is closed? Anything would be appreciated so that I can piece something together. If you're coming from Leeds I'm assuming you'll be doing Scotch Corner - M74 - A9? Stirling is about 4 hours in and the Castle is definitely worth a visit. The grounds around the castle give great views over towards Wallace Monument, the Trossachs and the Ochils. The old town at the top of the hill gives you a pleasant walk to stretch the legs too. The Wallace Monument could be another option and you could combine that with a lunch stop at the Allanwater café in Bridge of Allan, you’ll get excellent Fish and Chips there. On the way up the A9 you could stop off at the Hermitage in Dunkeld. The walk along to the falls is very picturesque and it’s reasonably sheltered if the weather is a bit inclement! I was there last winter in the snow and it was stunning! Most of the main attractions are still open although some of them might be on reduced hours. I second a leg stretch at the Hermitage. One of my favourite local walks. Plenty of places in Dunkeld for lunch too. 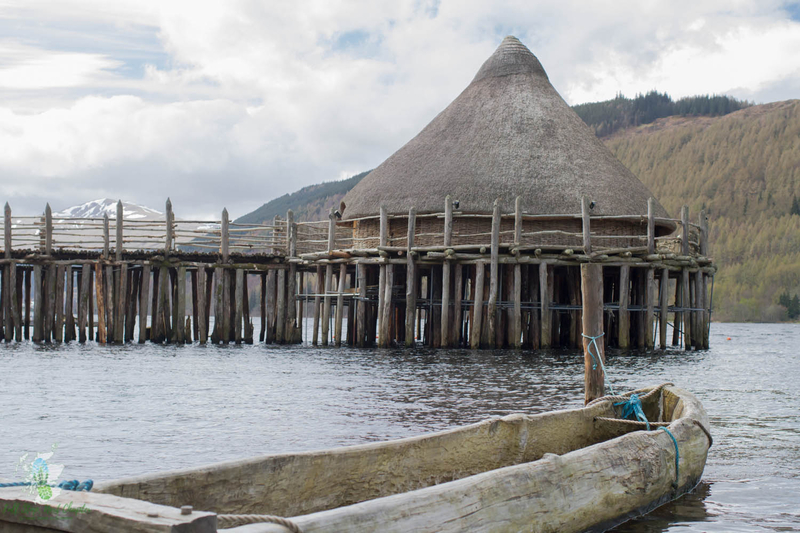 If you fancy a bit of a detour off the A9 to Kenmore - The Scottish Crannog Centre is open and is a brilliant and interactive attraction - a step back into the Iron Age seeing how people lived on the edge of Loch Tay. The Highland Wildlife Park is open too at Kincraig. Home to Scottish Wildcats, red pandas and Hamish the polar bear cub (he's just 12 months old). 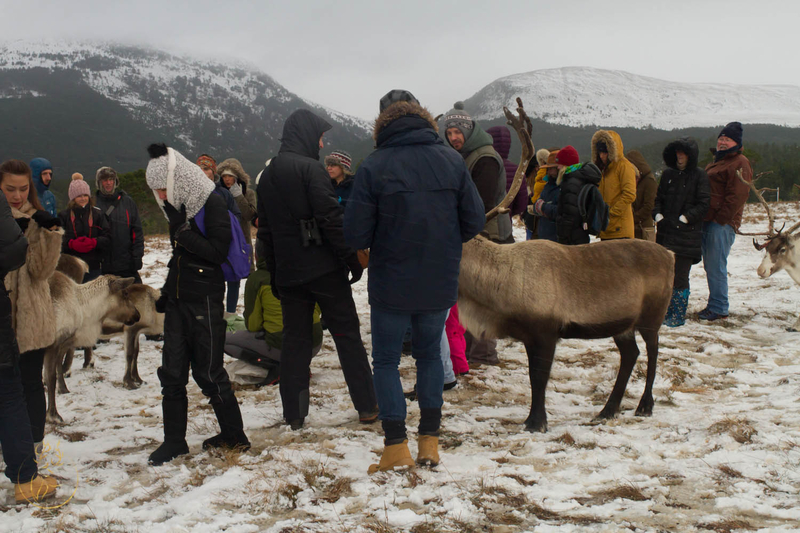 The Reindeer Centre not far from Aviemore - they do walks up on to the hillside so that visitors can hand feed the only free roaming herd of reindeer in the UK. Quite a special experience. 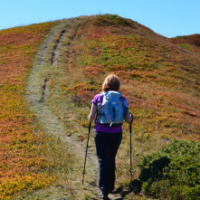 Plenty of walks in the Aviemore/Rothiemurchus area too. The Falls of Bruar - waterfall in the woodland behind the House of Bruar on the A9. Another good place to stop and have a walk. These are all great suggestions but please note that, unlesss you are heading north this week, you will be unable to climb the 246 steps to the top of the Wallace Monument. 2019 marks the 150th anniversary of the Monument and it will close from Monday 11th until late April to undergo essential maintenance and refurbishment of the exhibition areas. It is however still striking to see from the outside and the Coffee Shop and Visitor Reception will remain open. If you fancy visiting a distillery as part of your trip then the one at Dalwhinnie (visible from the A9) is offering free tours until the end of March.